body and our health as a catalyst for a better world. Listen in for the recipe to reveal your inner super hero because Angela thinks you could be the answer to everything. Angela Levesque is an intuitive lifestyle consultant, mind/body educator and energy healer. She knows that our level of awareness governs every aspect of our lives. So in her work she bridges science, health and spirituality to assist her clients in understanding how they operate, why they make the choices they make, and the importance of the mind/body relationship. Angela has a clinical background as an exercise physiologist, as well as training in Reiki, Healing Touch, Re-connective Healing, hypnosis and meditation. This allows her to take an integrative approach to her coaching work. Angela also hosts a weekly radio program called Entanglement Radio on iOM.fm. She is also a featured author and editor for OMTimes Magazine, and teaches many classes in conscious weight loss, intuition development, meditation and self-care. Angela’s first book entitled Healing Environment: The Conscious Creation of Health is now available. It’s the end of the month and where we wrap up the news and views. We’ll bring on co host Motorized Millie for a different brand of enlightenment with opinions and insights from her side of the chair and reveal the winner of a One Hour psychic session with Sarah Nash. Then we’ll hand out the Nahmaste award and the greatly anticipated Father Mulchahey citation. The title of the book, Girls Don’t Ride Motorbikes, comes from a mantra of Dorit’s youth, embedded into her mind by her father. Born from very traditional parents with their own expectations, Dorit had the courage to make her own path. She pursued everything she wasn’t supposed to do and found adventure and true fulfillment in life. Dorit chronicled her modern day pilgrimage; a 7,430 mile solo motorcycle adventure across the US to walk labyrinths. On her journey, she recounts poetic life stories spanning her youth on a dairy farm in Germany, a 10-week solo-backpacking trip in Brazil, the turmoil living in Tel Aviv, to her most recent adventures in the United States. Dorit Brauer is the owner of the successful holistic medicine business Live Your Best Life, LLC. In 2013 she founded the Brauer Institute for Holistic Medicine and teaches the only 300-hour Professional Holistic Reflexology Certification Program in the state of Pennsylvania. In 2005 she received her Certification in Systemic Family Constellations from the Hellinger Institute in Washington DC and in the fall of 2005 she became certified as a Veriditas Labyrinth Facilitator with Dr. Lauren Artress. In 2009 she successfully completed the Advanced Systemic Family Constellation Training in Washington DC. She is a graduate of the Mahut College for Complementary Medicine and Holism in Tel Aviv, Israel, and has practiced Holistic Reflexology and taught Meditation & Guided Imagery at the Center for Complementary Medicine at the University of Pittsburgh Medical Center in Pittsburgh, Pennsylvania. Dorit Brauer also taught for Highmark Blue Cross Blue Shield and at other corporate sites. When David Gallagher first walked a labyrinth in 1995, the experience changed his world in life-altering ways. Metaphorically, labyrinth walking became the turning of the knob that opened the door to a hitherto unknown world of questions and mysteries. One aspect of the experience was knowing that he had been called to help bring the healing potential of the labyrinth to others. He has subsequently lived that purpose principally through participation in the founding of The Labyrinth Society, ensuing service as an officer and director, and currently as its first Executive Director. Building an occasional labyrinth locally is still in the mix, but his service seems more effectively placed and enlarged by working as behind-the-scene helper, both directly and indirectly, to all those who create, maintain, and use labyrinths worldwide. The questions and mysteries remain; the quest for answers and resolution an eternal process. How sweet it is. As the Kundalini activation permeates the body a chain reaction is building. This can happen very quickly or slow depending on the quality of a person’s practice, acceptance and surrender. The spine will feel as if it wants to be straight. A feeling of powerful energies begins to build at the base of the spine and as they increase a pressure forms at this base until it gives way like a dam bursting. Exquisite energies then sweep up the spinal column causing the back to arch backward and the head is immediately wrapped in a swirling mass of energy. Lights and sounds and smells are experienced. Sensations of tiny electric currents are felt just below the scalp zipping and fizzing their way around the head and often spreading through out the body. An inner HUM begins to be perceived. Extreme feelings of love and joy are felt as this energy convulses the body with the intensity of an internal hurricane of joy and movement. Some people have reported seeing streamers of light flowing out the top of their head and around them. Beauty, Joy, love and a feeling of completion pervade the body as the energy begins to fill the cranial spaces with a golden white light that is viewed with eyes closed but looking up. This can last for minutes or seconds and it is what the energy of that person decides is needed. No pain, unless you resist, and even then, in the beginning, it will wait until you resist consistently before helping you understand. This is the time to call upon your personal divinity. The one you have been communicating with (praying to). Are you ready to experience divine self love? Tired of feeling “mauled at the mall?” Interested in enjoying the ecstasy of being an Empath? Want to feel connected, without feeling overwhelmed? Ready to honor and use your empathic gifts? Listen in today, and learn about EagleSpirit and her journey. EagleSpirit’s ability to create and hold a sacred space during healing sessions allows you to reconnect to your natural blueprint for wellness and realign with your life’s purpose. She is about nurturing trust and support — key elements to health and wellness. She reminds us that our lives are about reconnecting to your inner wisdom and reclaiming your power, dumping fear with the appropriate measures and actions. Releasing long held energetic blocks and old fears not only seem possible, but inevitable when you are protected! Unlike traditional shamans that train, practice and maintain indigenous traditions in their particular community or nation, as a Contemporary Shaman EagleSpirit’s energetic work with the four bodies (physical, emotional, mental and spiritual) draws from a variety of traditions and builds from her training and gifts. For her, the intent is to help people realize how wonderful they are and gently support them in returning to their natural state of being in balance with their everyday world. She has learned through many difficulties (cancer, heart disease, car accidents, 2 marriages and subsequent divorces) that not listening to one’s inner wisdom is costly in many ways. It has been a long journey of healing using a variety of modalities to reclaim her own voice and she has made a commitment to be of service to others. Over the last 15 years, EagleSpirit has worked with clients, helping them relax their bodies, release limiting beliefs and radiate their most authentic selves. She works privately with clients doing energetic balancing and lifestyle counselling, as well as leads Soul Journeys and Spirit Quest Tours around the world to support clients to love the lives they lead. Well known for being able to help both clients at a crossroads, ready to make major life changes and unskilled Empaths each embrace their unique set of skills and qualities, she sees clients locally on-site and long distance, as well as works nationally and internationally. While many people accept paranormal occurrences, such as hearing a departed loved one’s voice or seeing their ghost, as within the realm of possibility, the numbers of people who accept the idea of Extraterrestrials from Outer Space either visiting or living on this planet are much fewer. Sayward has seen them, has delved into mounds of reliable research conducted on this topic, and now recognizing that these events were not just figments of an overactive imagination, she has come forth with her own experiences in Aliens at My Fingertips! Real Meetings with Strange Beings. Drawing on incredible amounts of convincing data, Sayward presents a different look at how life may have developed on planet Earth, and postulates that the ‘Creators’ may still be overseeing their Garden of Eden. Ms. Ayre has written a series of books on her strange and personal paranormal experiences that she calls the True Encounters series. While she’s had many adventures in her extensive travels both in the U.S. and other countries, she rarely relayed these unusual events due to concerns of being discredited or delusional. She does not perceive herself as ‘woo-woo’ at all, as her educational degrees indicate. She holds an Associate of Arts degree in Journalism with an emphasis in Marine and Field Biology, a Bachelor of Arts degree in Anthropology/Archaeology with an emphasis in Film, a Masters in Environmental Studies degree, and a degree in Naturopathy. She has recently been interviewed on a number of BBS Internet Talk Radio Shows, including Temple of Health, Spirit Network Radio, Clear Conscience Pet Talk, Smart Animal Talk, and the Bob Charles Radio Show. Truth Be Known was created in 1995 by independent scholar of comparative religion and mythology D.M. Murdock, also known as “Acharya S.” Acharya’s work is designed to bring to light fascinating lost, hidden and destroyed religious, mythological and spiritual traditions that reveal an exciting core of knowledge dating back thousands of years. Her controversial books, articles and interviews will shake the foundation of your faith and belief system. If you’re brave enough to listen with an open mind, chances are you’ll be brave enough to see the lies you’ve been told, the deceptions you’ve been sold and willing to expand your awareness to become part of the Free Thought Nation. Acharya S, whose real name is D.M. Murdock, was classically educated at some of the finest schools, receiving a degree in Classics, Greek Civilization, from Franklin & Marshall College, the 17th oldest college in the United States. At F&M, listed in the “highly selective” category in guides to top colleges and universities, Ms. Murdock studied under Dr. Robert Barnett, Dr. Joel Farber and Dr. Ann Steiner, among others. Murdock is also a member of one of the world’s most exclusive institutes for the study of Ancient Greek Civilization, the American School of Classical Studies at Athens, Greece. Murdock has served as a trench master on archaeological excavations in Corinth, Greece, and Connecticut, USA, as well as a teacher’s assistant on the island of Crete. Murdock has traveled extensively around Europe, and she speaks, reads and/or writes English, Greek, French, Spanish, Italian, German, Portuguese and a smattering of other languages to varying degrees. She has read Euripides, Plato and Homer in ancient Greek, and Cicero in Latin, as well as Chaucer’s The Canterbury Tales in Middle English. She has also been compelled to cross-reference the Bible in the original Hebrew and ancient Greek. Acharya S aka D.M. Murdock has gained expertise in several religions, as well as knowledge about other esoterica and mystical subjects. She is also the author of several books, including The Christ Conspiracy. Her book Suns of God: Krishna, Buddha and Christ Unveiled, is an expansion of the themes and thesis of The Christ Conspiracy. Acharya’s book Who Was Jesus: Fingerprints of The Christ represents a scientific analysis of the data regarding this alleged superhuman god who purportedly walked the earth. Murdock has also written Christ in Egypt: The Horus-Jesus Connection, which demonstrates the Egyptian and Horus parallels to Christianity and Christ to be real and factual. Articles by Murdock have been published in Exposure, Steamshovel Press, Paranoia, as well as other periodicals and ezines. If music is color you can hear and textures are light you can touch, scent is a colorful texture you can smell. Total-Sensory-Healing, Vibrational Aromatherapy was created when Gloria combined her love of music and her desire to serve and heal humanity. ArcAncient is the name given to Gloria O’Neil-Savage when she was praying for a name. She saw two angels holding back the veil and the name: Ark of the Ancients came floating through. As she continued to spiritually quest for answers to her physical pain, a wholly new vision began to emerge. She began to use her voice to tone chakras and divine assistance led her to create essential oil blends to fill the air and to anoint the body. It was all related, pure alchemy. The quest to understand the mind/body/spirit connection continues, and ArcAncient shares her mystical journey on the path to wholeness with humor, compassion and hope for us all. Gloria O’Neil-Savage had a near ‘death experience’ at the age of seventeen and began a lifelong quest searching for Heaven on Earth. The first outlet she found on this quest was in the arena of music and voice, leading to a rich and varied musical background. Known for her heart-felt renditions of Jazz & Blues Standards as well as composing and performing her own spirit inspired originals, people have been touched, moved, awed, and inspired throughout North America and abroad. Singing with such well-known artists as The OJays band, The Count Basie band, and the Saturday Night Live horn section to standing ovations at Chicago Blues in New York City. Gloria is an Associate Polarity Practitioner, Reiki Master, Interior Designer, certified in T.S.H.Vibrational Healing©, Instructor and Practitioner in Total Sensory Integration© and a certified Aromatherapist! Astrologer. She is the owner and original founder of ArcAncient, Inc. Aromatherapy and Co-Founder of the Cleveland Polarity School. Homes and many classes around the country and individual spa retreats. Her articles have been featured in several magazines and newspapers, including: Cleveland Bar Journal, Cleveland Wedding, Cincinnati Woman, and Balanced Living. She has also appeared on television, radio and internet broadcasts. Radio Nahmaste host Sarah Nash and her featured guest, Dena Anderson, co- facilitate the The White Light Express: a NON Denominational & Interfaith group dedicated to the idea that focusing thoughtful, favorable energy on a specific subject or subjects will promote unequivocal change for a positive outcome. The mission of the White Light Express is to offer pure, energetic assistance — for those who ask — through focused intention, meditation and prayer during a specific period each month. Sarah, Dena and the Guardians of the Grid believe that “holding the vibration” is an important part of their divine calling to raise consciousness and enlighten humanity. This show highlights the unique history of the WLE and why it’s being called “The Angelic Conspiracy”. Stay tuned and listen in for revelations regarding ancient secret agendas and motives by rebellious angels determined to help us at all costs! Dena Anderson is a single mother of two beautiful old souls and three cats. She is a peaceful Tibetan Buddhist, Certified Reiki Master Teacher and Certified Crystal Healer walking her Bodhisattva Vow with integrity and grace. When she is not healing others you can find her writing, crafting jewelry and working at other creative endeavors. Her firm belief that we all have a purpose on this planet and that every life has meaning is at the foundation of her desire to enlighten through faith, focus and meditation. 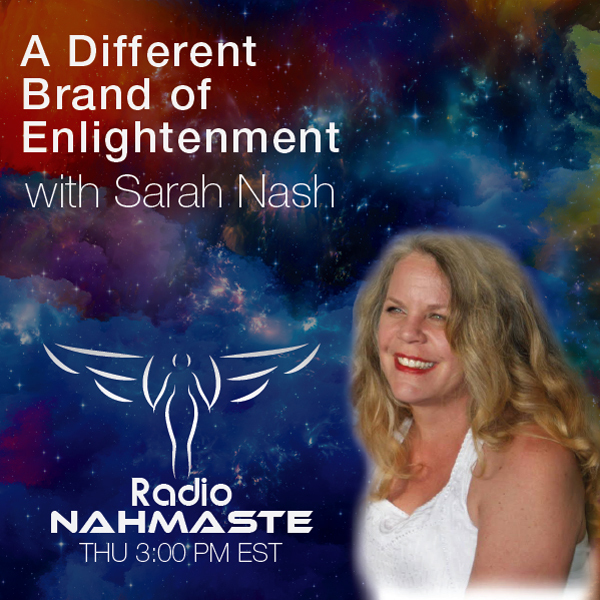 Her dedication to manifesting a miraculous healing result during a life threatening cancer crisis provided a way for her to channel a powerful, enhanced reiki system for the new age — Quantum Light Reiki™ — with Sarah Nash. Workshops are planned for Autumn 2016.